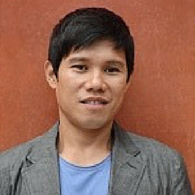 Associate Professor Joselito P. Quirino is an ARC Future Fellow at the Australian Centre for Research on Separation Science (ACROSS) within the School of Physical Sciences-Chemistry. He is interested in analytical method development for chemical, pharmaceutical, biological, environmental and food sciences. His topics of research in separation science include green sample preparation, chromatography, electrophoresis, and mass spectrometry. Lito's research aligns with the UTAS research theme, Environment, Resources and Sustainability. Sample preparation is vital in any analysis (chemical, biological, etc.) and they normally require harmful organic solvents. A major focus of his research is on the development of environmentally benign sample preparation techniques. He uses electric fields to extract or remove target analytes or interfering compounds from various samples. He then analyses processed samples using modern analytical techniques such as high performance liquid chromatography, capillary electrophoresis, and mass spectrometry. Another area of interest in his research is the application of capillary electrophoresis to chemical analysis (from small to large molecules). He has a wealth of experience on the development and application of on-line sample concentration techniques in capillary electrophoresis. Associate Professor Quirino has more than 90 publications (research articles, reviews, and book chapters) which have attracted >4600 citations (h-index = 39). Increasing public demand for quality products from the chemical, pharmaceutical, biotechnology and food industries requires access to innovative methods of chemical analysis. This project will establish a new class of separation materials of enhanced selectivity and resolving power for the fast, sensitive and reliable analysis of these products. Laboratories worldwide use analytical techniques on a regular basis for the determination of chemicals and their concentrations in the environment and in consumer products. Sample preparation is the most labour intensive, resources consuming, time demanding and polluting step involved in an analytical chemistry process. This project aims to develop environmentally-friendly or green sample preparation technologies that are effective, simple, fast and inexpensive. This project will result in significant developments in the analytical sciences and in technologies that can be commercialised. The project will engage in national and international collaborations with key researchers and the training of future green analytical chemists. Associate Professor Quirino currently (co-) supervises 4 PhD students and co-supervises/collaborates with 2 visiting PhD students (from Poland and Malaysia). He has co-supervised/collaborated with PhD students from Austria, France, Philippines, and Thailand.